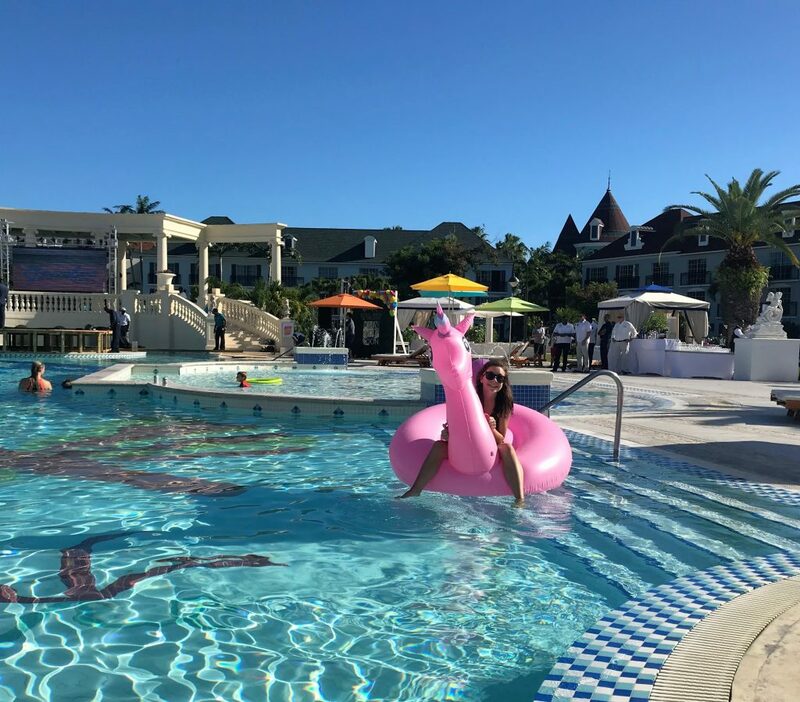 Beaches Turks and Caicos is a vast all-inclusive resort that does a great job at supplying everyone with a fun and enjoyable vacation. This resort has plenty of restaurants, a water park, lots of activities, and a beautiful beach. What more could you ask for? 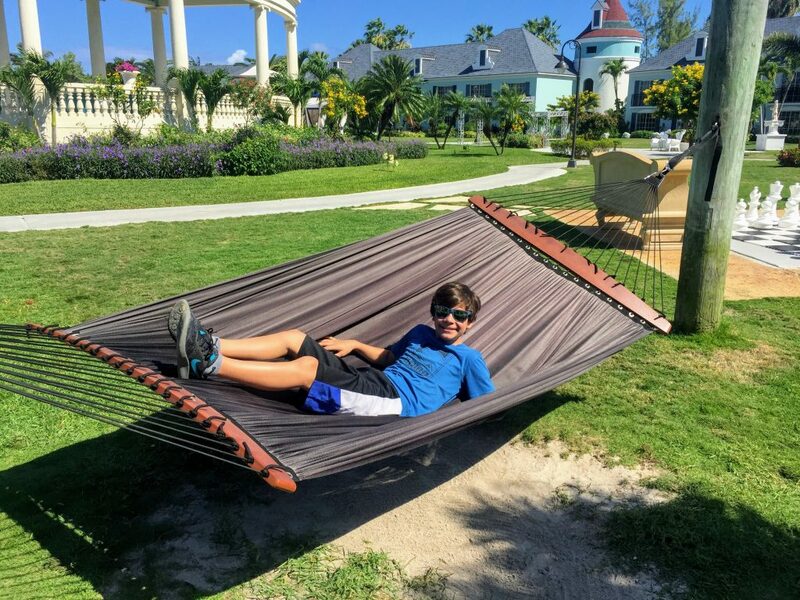 Beaches Turks and Caicos is the perfect vacation spot for kids, teens, and adults. My family and I had a wonderful stay at this resort, and I saw numerous other families, friend groups, and couples having a great time as well. 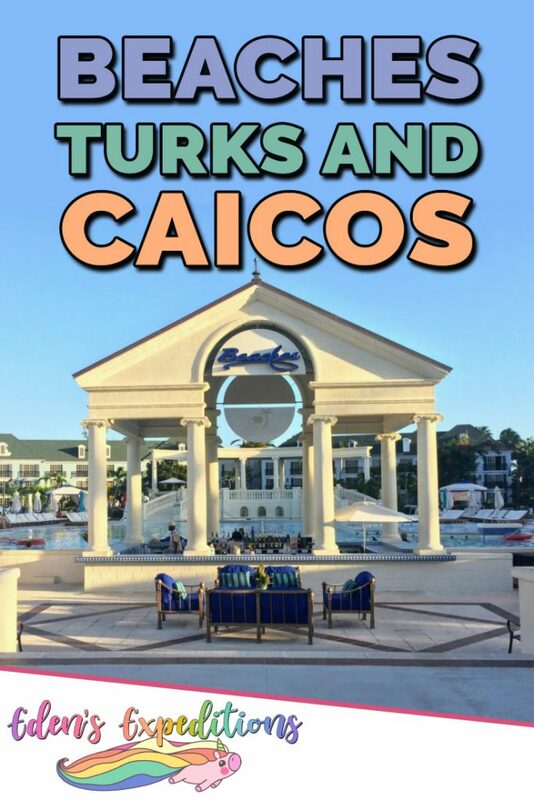 Beaches Turks and Caicos is made up of multiple different “villages.” Each of them is made up of different buildings with restaurants and hotel rooms. There are perks to each area, therefore it would be hard for me to choose one specific village to stay at. 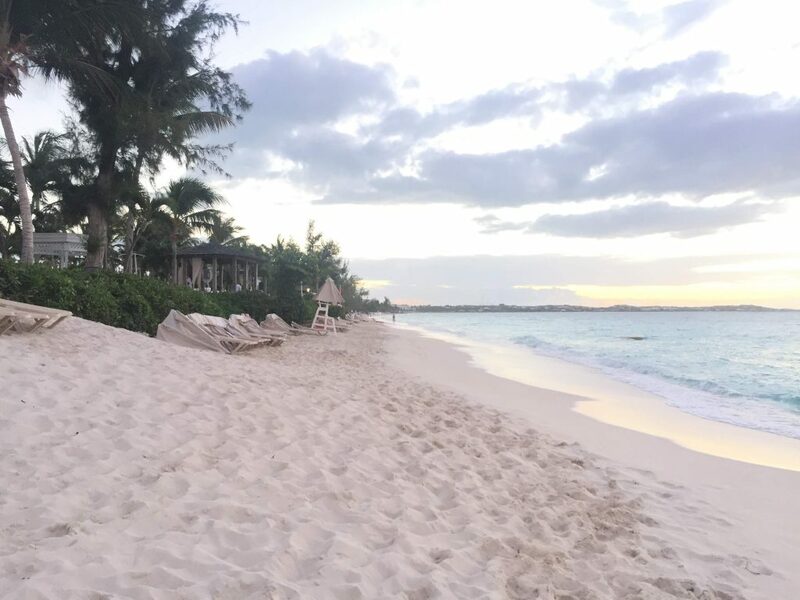 My family and I stayed in the French village at Beaches Turks and Caicos. It is closest to the entrance of the resort, but farthest from the beach. Although the beach is a long walk from the French Village, it has its own large pool, and the water park is nearby. The stage is also located within the French Village. The hotel room that my family stayed in had a large bed, as well as a trundle bed. There was also a tv and a stocked mini fridge. The bathroom was slightly smaller and got a bit humid sometimes, but it was a generally nice accommodation, and the little time we spent in it was nice. The Italian is another village at Beaches Turks and Caicos. It is fairly close to the water park and incredibly close to the beach. Also, the Italian Village is the closest village to the water sports center. If my family and I were to stay at this resort in the future, it is likely that we would book a room within the Italian. Each of these villages is nice in their own way, with plenty of different restaurants and a closeness with the beach. 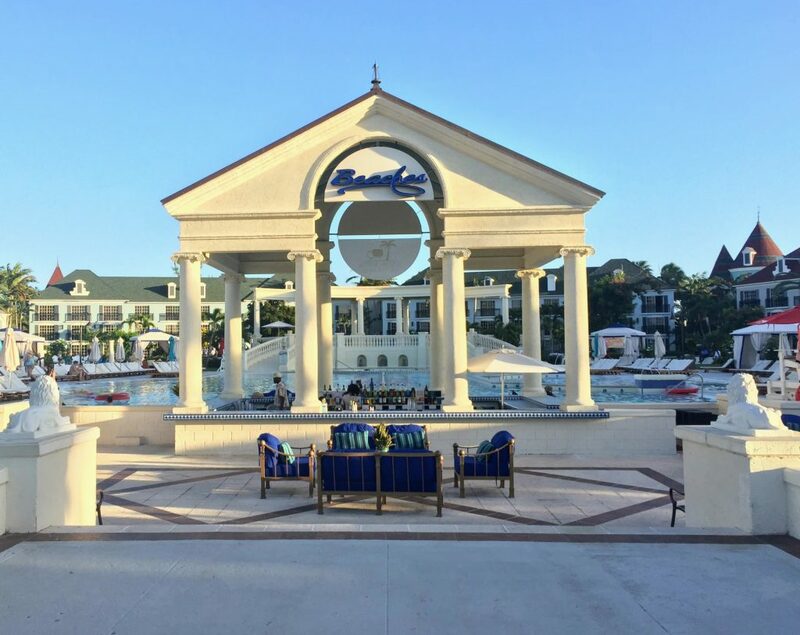 Although my family and I didn’t spend a whole lot of time in and around these villages while staying at Beaches Turks and Caicos, we did get a good look at some of the beautiful buildings, villas, and pools. 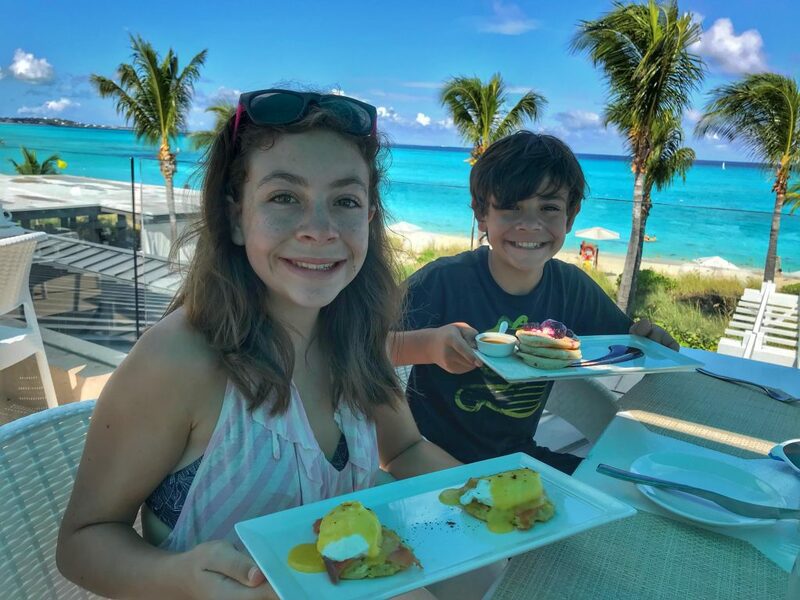 You’re never bound to go hungry while staying at Beaches Turks and Caicos. The resort has many restaurants of varying flavors. There are also some food trucks and smaller shacks located around the resort. Neptunes is a Mediterranean seafood restaurant and the best restaurant at Beaches Turks and Caicos by far. My entire family would agree with me. This restaurant is located in Key West Village, and can also be found at the Beaches Resort in Ocho Rios, Jamaica. Although it is a long walk to from the French Village, we ate there for multiple breakfasts. Although we never stopped by Neptunes for dinner, I will say that the dinner menu looked quite tasty. 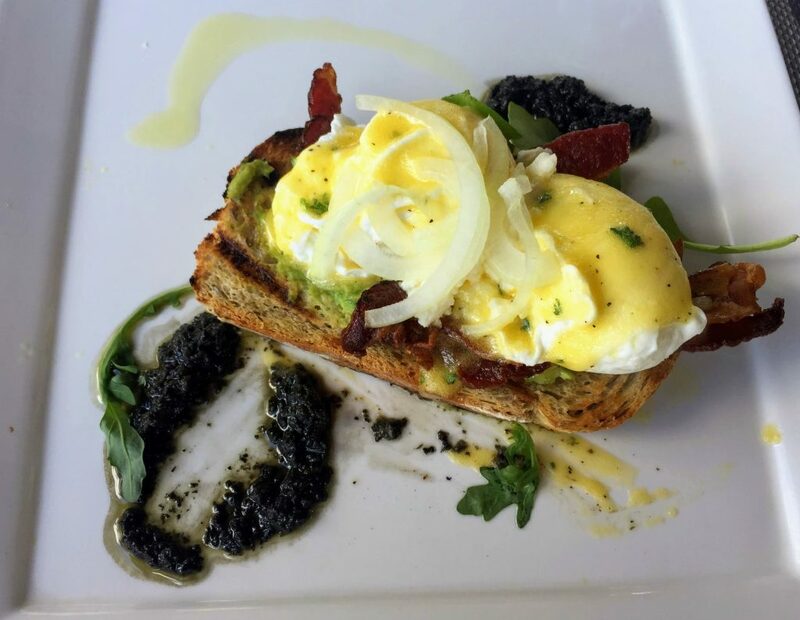 Breakfast at Neptunes is not to be missed out on. Neptunes has a fantastic breakfast menu consisting of delicious pancakes, French toast, and, my favorite, avocado toast. The first time we ate breakfast here, I ordered a Mediterranean dish that was not particularly enjoyable. Afterward, I tried the avocado toast from my mom’s plate, and it immediately became my breakfast the next day, and the day after that. I can honestly say that the avocado toast at Neptunes is the best I’ve ever had. For lunch, my mom and I grabbed gyros. We also ordered spinach and artichoke dip, as well as hummus. If I were to pick between the two, I believe I’d choose the spinach and artichoke dip. The hummus was just too plain. The gyros made for a decent lunch, although I wish we’d decided to try some of their other lunch options as well. Bobby Dee’s is a restaurant at Beaches Turks and Caicos located within the water park. My brother ate half of his meals here because all he ever wanted to eat was a bacon cheeseburger. I myself grabbed some fries from Bobby Dee’s every once in a while. They also have milkshakes, smoothies, and pizza. As you can imagine, there were many happy children within the restaurant most of the day. 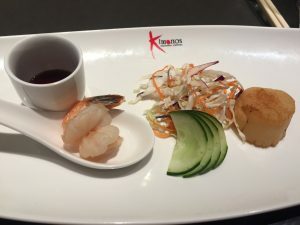 Kimonos is a nice restaurant that serves up oriental food in a fun and entertaining style. It is very close to the waterpark, tucked behind Soy, the sushi place. Chefs cook your food right in front of you, sing bombastically with the other chefs in the restaurant, and perform cool tricks with food and kitchen utensils. My family and I had a great time catching food in our mouths and singing along with our lively chef. There is also a Kimonos restaurant at Beaches Negril. Keep in mind that Kimonos does require you to book reservations beforehand. This small pizzeria is located further down the beach in the Caribbean Village. Bella Napoli serves delicious wood-fired pizza. I enjoyed my lunch at Bella Napoli’s, but I must warn you to be careful. I practically burned off the roof of my mouth because I was too impatient to let the pizza cool down. 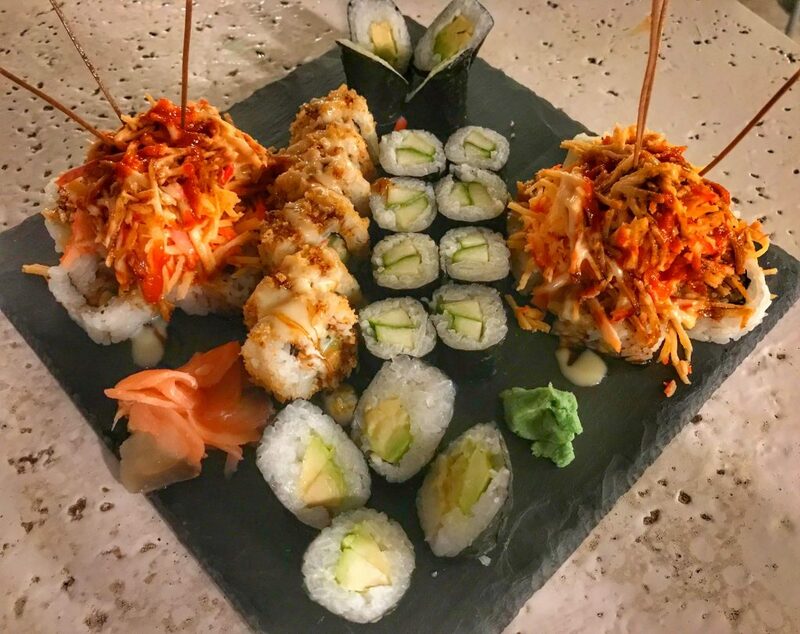 If you love sushi, you’re going to love Soy, located next to Kimonos in the French Village at Beaches Turks and Caicos and Beaches Negril. Soy is a fantastic sushi bar that prepares delicious sushi rolls. My family ordered several large plates of food. We told ourselves to quit eating, but we just couldn’t help ourselves. Mom and I favorited the crunchy crab rolls, with the volcano roll as a second. My younger brother, Jonah, loved the volcano roll and somehow managed to eat more sushi than my mom and I combined. The Sky Restaurant is a quiet rooftop restaurant that serves delicious cuisine. It is located in Key West Village, right next to Neptunes. My family tried out breakfast and dinner here, although you can only eat dinner at the Sky Restaurant if you’re sixteen or older. My mom lied and said that I was old enough. There were far fewer people eating dinner here when we visited, probably because families want to eat dinner together, so the restaurant was a peaceful environment to have a nice dinner. Sky serves seafood, and I ordered the halibut for dinner. We also ordered an appetizer of seafood gumbo and crab cakes. Everything was delicious, and I was very happy with my dinner. Breakfast was a bit different, only because of the intense heat. It was hard to enjoy my eggs benedict with the sun beating down and the humidity making everything feel sticky. The food was still good, although I prefer my avocado toast in the shade at Neptunes. 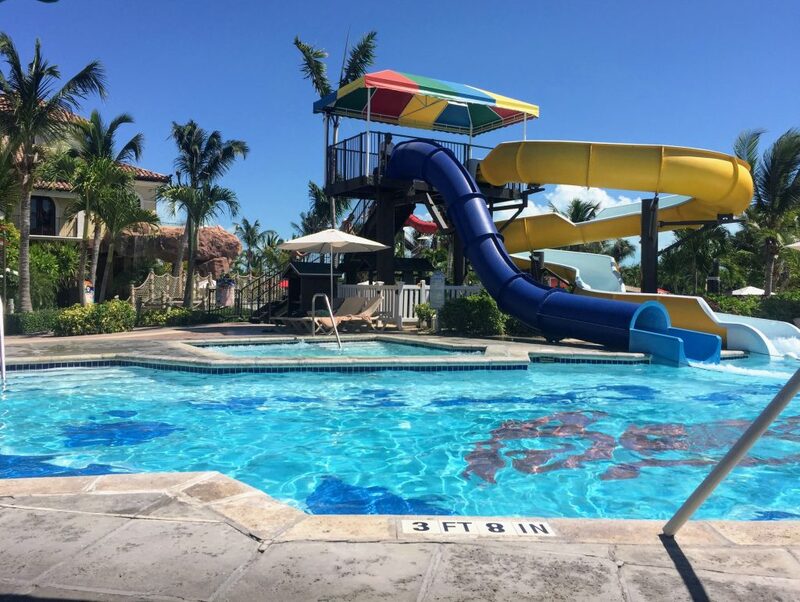 All of the Beaches resorts have a water park within them, but the one at Beaches Turks and Caicos is by far much larger than the one at Beaches Negril. Tucked between the French Village and the Italian, Pirates Island water has four main waterslides, a large lazy river, as well as a section small play area in the center, and an area located near Bobby Dee’s with a few smaller slides, a whirlpool, and a pool bar. Alongside it is a surf simulator where kids can learn to surf. Most of the kids don’t return to it after their first couple of tries for fear of face planting. It’s a kids activity where the instructor has more fun than the kids. Every time a kid got off the board, or fell off, the instructor would hop on and glide around like a pro. He was quite good. The beach was lovely and picturesque, with soft white sand and blue waters. Currently considered the number one beach in the world, I had myself a good time, with or without my family. It felt so relaxing to stop at the bar and grab a cold, sweet, non-alcoholic drink and continue down to the sand. I tallied up many hours of sunbathing and reading on our vacation. Beaches resorts also have floating rings in the water, so you can sit around in the ocean talking, drink in hand. Although relaxing, I’d recommend that you avoid them on windy days, unless you like getting bumped around on the waves. This is what my mom and I experienced near the end of our trip. The bumping and swaying were funny at first, but it was only getting worse. Our drinks couldn’t handle it, so we waded back to the sand before we could spill chocolate shake and mojito into the ocean. Staying in the Italian, Carribean, or Key West villages will put you very close to the beach. Unfortunately, the French Village is a bit of a walk from the shore. The walk from our hotel room to the beach is one of the only complaints I have about the entire resort. Aside from the great opportunity for peaceful sunbathing and relaxation, you can also partake in many different water activities, or sign up for a boat tour. You can do this by signing up at the water sports center or the shack on the beach near the water sports center. This shack also rents equipment, like the paddleboards and water bikes we used. My family played around with paddleboards, water bikes, and we also went out for a short ride on a Hobie cat. Paddleboarding was fine, although I’d definitely go on a much less windy day. It wasn’t much fun the day we went paddleboarding because of the strong winds and relatively large waves. The Hobie cat was relaxing, but if you’re looking for something more thrilling, give it a pass. The water bikes were slow and squeaky. They look so fun, but in the end, they’re nothing but a silly spectacle. If I were to return to Beaches Turks and Caicos, I would definitely give the kayaks a try. We also signed up for a glass bottom boat tour. Perhaps there’s fish and coral to see in other parts of the Carribean, but there was nothing but bare ocean floor on this glass bottom boat tour. If you’re planning on signing up for the glass bottom boat, don’t. Beaches Turks and Caicos also offers snorkeling and snuba/scuba diving, but these activities come with a pretty hefty overall price. 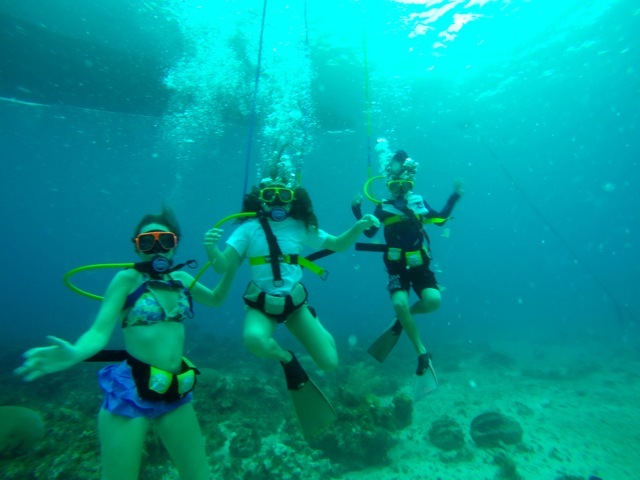 For this reason, my family did not sign up for any of these activities, although we have done snuba diving at Beaches Negril in the past. 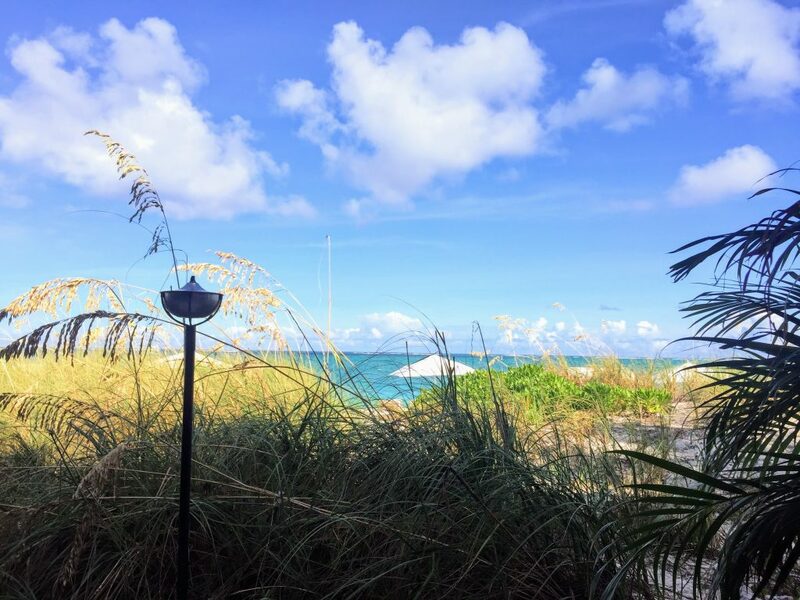 Beaches Turks and Caicos also has beach volleyball, basketball, soccer, ping pong, tennis, croquet, and other activities. Although I spent my time at the beach and at the pool, there’s also a club for the kids and teenagers with ping pong, air hockey, and other games. The kids club offers a great number of opportunities for kids to participate in special kids-only activities, such as snorkeling. Alongside the kids club, there was also an Xbox play lounge. My brother spent half of his vacation playing video games. 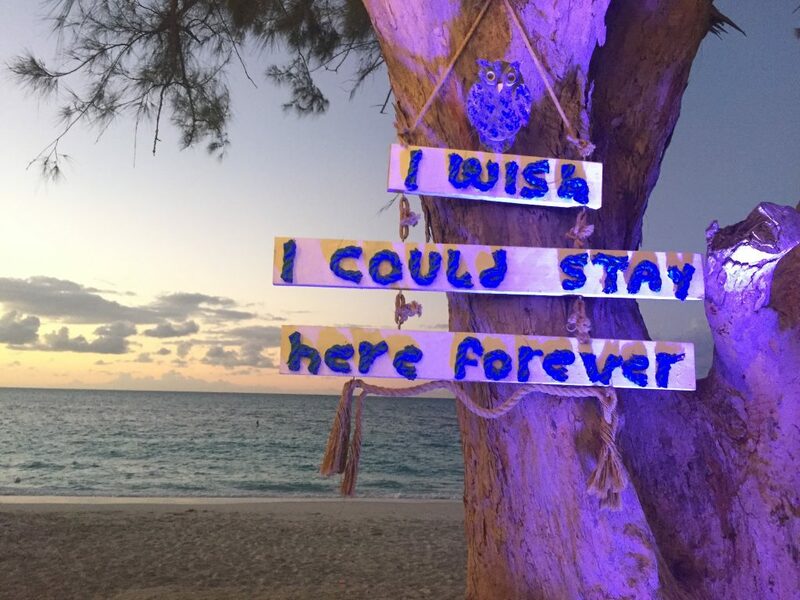 Parties and other events take place all around Beaches Turks and Caicos at different times of the week. The French Village has a stage where talented performers put on shows that include acrobatics, song, and dance. If you feel like satiating your sweet tooth, there’s a small chocolate dessert party in the French Village. The Italian Village hosts water aerobics. We found this out when walking past the pool and finding a large group of people mimicking the movements of an instructor. At the time, Halloween was coming close, so the Italian Village also hosted a Halloween pool party. They played fun Halloween music and held games. The biggest event my family and I attended was a special Mad Hatter’s Tea Party. 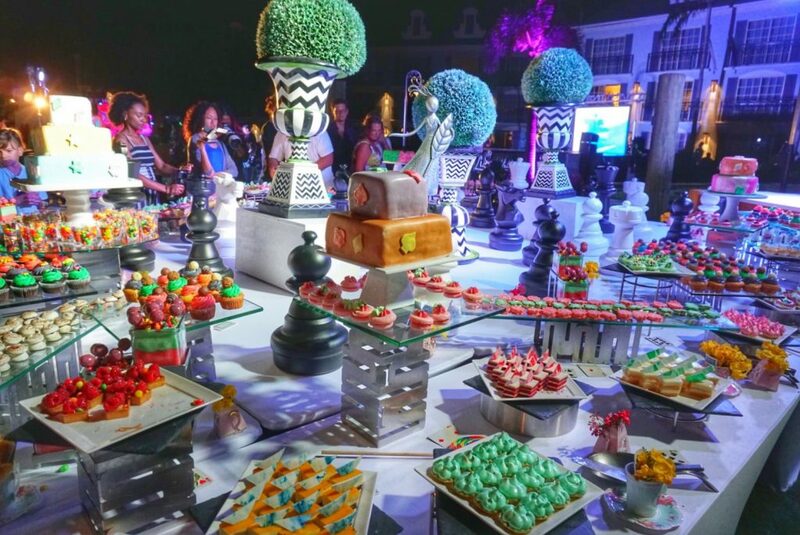 The party was held at nighttime, with blacklights, incredible dessert displays, and a few large arts and crafts stations, where you could get body paint and make your own crazy hat. It was a spectacular party with a lively DJ and plenty of dancing. We had a great time! 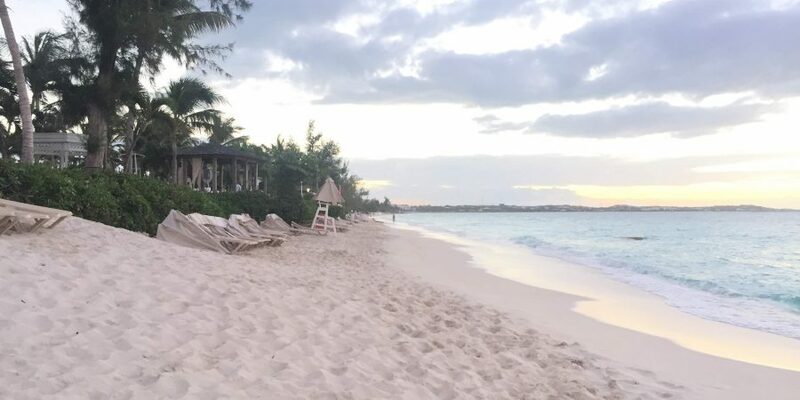 Beaches Turks and Caicos is a paradise that one should definitely take into consideration for future vacations. Of course, I see no reason for someone to deny a trip to one of Beaches’ other beautiful resorts, such as Beaches Negril. Both are fantastic, but Beaches Turks and Caicos is far larger, so it holds more restaurants and recreation areas. Either way, guests at Beaches are set for a great, food and sun-filled vacation.